November 29, 2018: Vera Blaz, CEDDERS Training Associate/Project Bisita I Familia Training and TA Coordinator, poses with Project Bisita home visiting staff at the conclusion of the “Working with Young Children” course. The course focused on child development, positive guidance and discipline, social emotional wellness, special needs, and other topics related to working with children birth to eight years. Pictured left to right: Vera Blaz, CEDDERS Training Associate/Project Bisita I Familia Training and TA Coordinator; Ma. 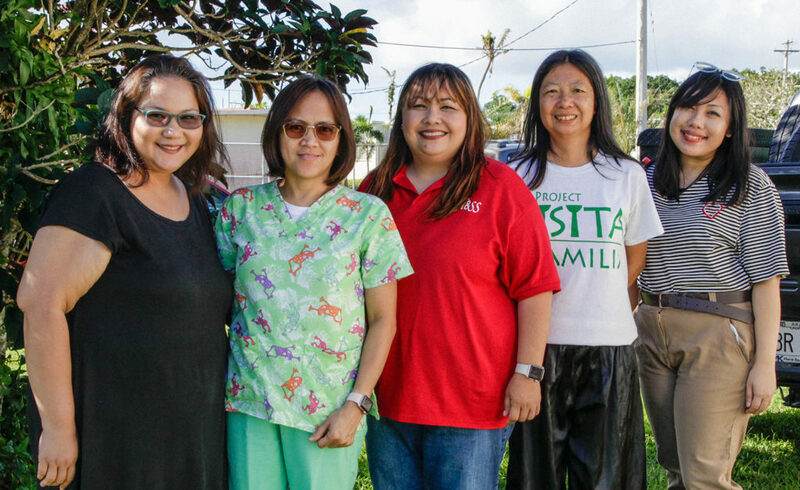 Gwen Yanesa, Veronica Santos, Iris Sablan, and Nicole Loren, DPHSS Project Bisita I Familia Home Visitors. Not pictured: Emraleen Roque, Project Bisita Data Clerk, and Maria Bontogon, CEDDERS Psychology Practicum student.